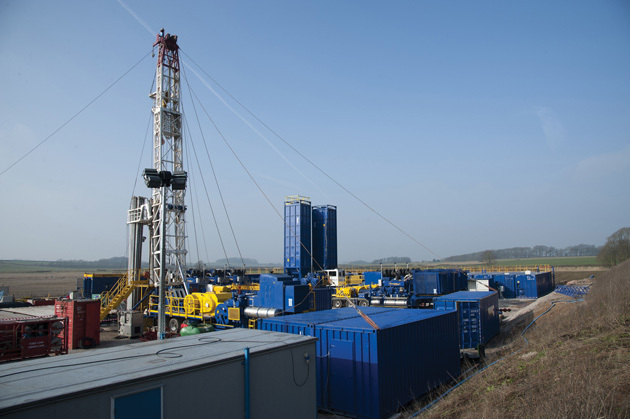 $5 billion (£3 billion) is the estimated annual cost for disposing of contaminated water produced during shale gas extraction. Now, researchers in the US have developed a new technology that could reduce the cost of dealing with this water by 30–40%. Hydraulic fracturing, the process used to extract oil and gas from underground rock formations, produces over 20 billion barrels of contaminated water every year. Current methods, such as underground injection, to dispose of these vast quantities of contaminated water have risks, including a chance of initiating earthquakes. Reuse of this water avoids disposal issues, but requires multiple treatment processes to remove contaminants such as salts and organic hydrocarbons. Zhiyong Jason Ren and colleagues from the University of Colorado Boulder have developed a technique that can simultaneously remove organic pollutants and salinity from contaminated water whilst producing energy. ‘The beauty of this technology is that it can replace five or six current processes with one to kill multiple birds with one stone,’ he says. Congratulations to the team at CU-Boulder who were recently awarded first place in the National Science Foundation’s Innovation Corps Program for the development of this technology. With energy companies eager to test the technology in the field, Ren’s team is now working to scale up the process. You can access their full research paper, which is part of our Fracking in Perspective web collection for free* by clicking the link below. *Access is free through a registered RSC account – click here to register. No doubt new technological advancements have made processes so easy to run. If we talk about water treatment, Some methods and some products are also used for water and & other liquid treatment . industries are taking advantage of these positive changes occurred by these instruments . But we need to study more and more thats the only best way to learn about new stuff .